Relaxed singing means better singing! To help your customers perform their next concerts in a relaxed way, this month we have added four new titles to our series Great choral works in large print. With its distinctly reader-friendly large print, badly-lit churches and tired eyes no longer present a problem. Singing together as a family is also relaxing, for example with our Love songs book from the latest installment of the LIEDERPROJEKT or the accompanying CDs. 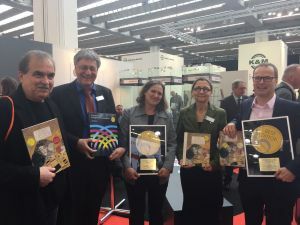 The complete range of Love songs products was awarded the Best Edition Prize by the German Music Publishers' Association 2017 just a few weeks ago! 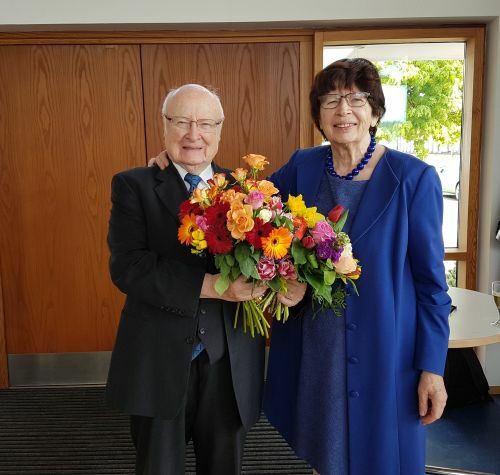 Carus is celebrating not only this award, but also an important person who has made a decisive contribution to the development of our publishing company: company founder Waltraud Graulich celebrated her 80th birthday on 18 April. Have fun discovering and practicing! 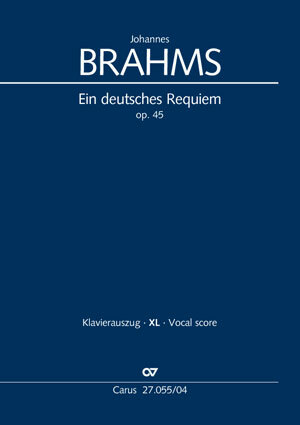 Full scores, vocal scores in the usual format, and performance material for all the works are available. Are you already familiar with carus plus ? We have marked certain editions in our publishing program with carusplus where Carus offers more than just the music – whether it is innovative practice aids, or Vocal scores XL with reader-friendly large print. 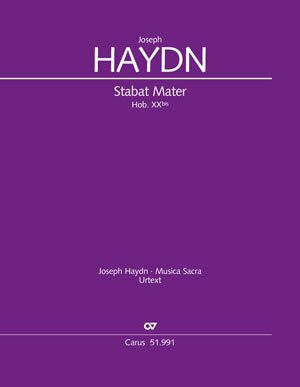 Joseph Haydn's Stabat Mater established the composer's reputation as the leading vocal composer of his day. The edition is based on three original copies of parts, which are regarded as being particularly close to the (missing) autograph manuscript because of the date they were made and the reliable transmission of the music text. As so, this great, moving setting of the Stabat Mater is now newly available in a modern, scholarly edition. With the Bach vocal project we are publishing the complete edition of Bach's sacred vocal music in the Reformation anniversary year 2017. 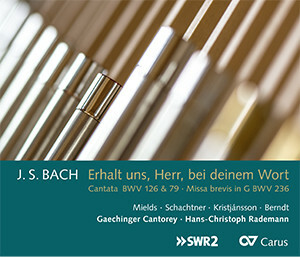 With carusplus we are adding to the editions with CD recordings, innovative practice aids and Vocal scores XL. 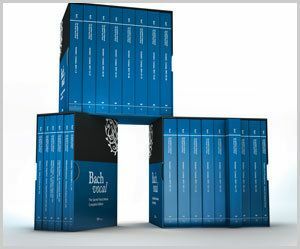 The Complete Sacred Vocal Works of Johann Sebastian Bach will be available for choral directors, singers, scholars, and music lovers in three comprehensive boxed sets. 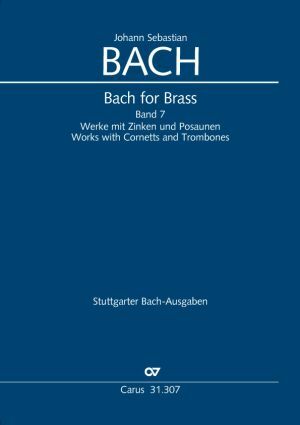 Bach for Brass contains Bach's complete brass parts in seven volumes, set in generously engraved short scores designed for practical performance. The parts include measure numbers, helpful cues, timpani parts if applicable, as well as the most important information concerning origins, original instrument names in the sources, and much more. The last volume of the series Bach for Brass includes parts for cornetto and trombones. Most works are available in choir pitch as well as in concert pitch to make possible all of today's performance situations. 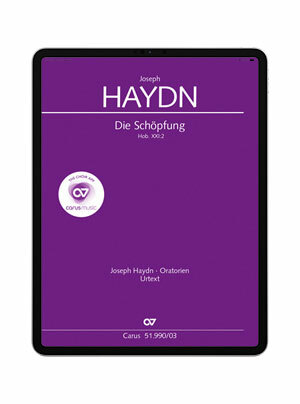 Haydn's magnificent Creation marks something akin to the "birth" of the great German oratorio, in view of the fact that this work – which is popular all over the world – stands as a landmark between the great oratorios of Händel and Mendelssohn. You can purchase The Creation until 31 May 2017 in carus music, the choir app, at 30% discount - download it in the App Store or on Google Play! New available in carus music, the choir app: Mendelssohn's chorale cantata O Head, so bruised and wounded. 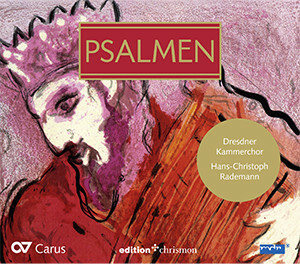 Following the various themes such as lullabies, children's songs, folk songs, Christmas songs and love songs, the LIEDERPROJEKT now devotes itself to some of the oldest song forms alive today: the psalms. The "father of German music", Heinrich Schütz, created a "psalms project" of a breadth and depth unlike any other composer through the musical arrangement of the Becker Psalter and of many other works. He is thus representative of all composers who have devoted themselves to the psaltery over the centuries, with the aim of continually reaching people - whether as singers or as silent listeners - through the settings of these oldest songs. Waltraud Graulich celebrated her 80th birthday on 18 April 2017. 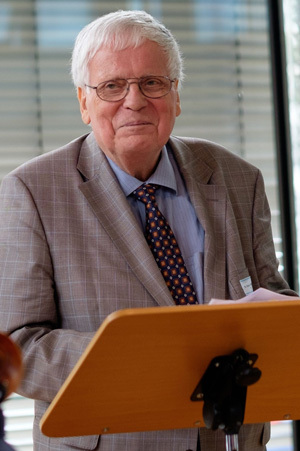 She founded Carus-Verlag, now one of the leading international publishers of sacred and secular choral music, in 1972 with her husband Günter Graulich. The prizes were awarded at the beginning of April at the Frankfurt Music Fair. Telemann: Cantata "Du aber, Daniel, gehe hin"
If you have edited as much music as Klaus Hofmann has, you have many favorite pieces. As an editor, you become extremely close to the music – how could it be otherwise – and often you have the impression that it is simultaneously approaching you. So it's no surprise when it really captures your heart. That is how pieces develop into favorite pieces.